Do you love cars, big trucks and SUVs? 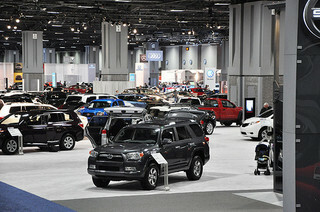 If you do, the 2014 Washington Auto Show is the perfect place for you and it’s happening January 23 - February 2 at the Washington Convention Center. Adventure Time's "Finn & Jake"
The Toyota "Hands On" contest will provide a 2014 Toyota Corolla to whoever can keep his/her hand on the vehicle the longest. The "Price is Right" Contest will award one lucky winner with a 2014 Hyundai Sonata, along with cash prizes and trips. The show will be held at the Washington Convention Center at 801 Mount Vernon Place NW. Admission is $12 for adults, $10 for Seniors and $5 for kids ages six to 12. Children under six are free.